This recipe is roughly enough to feed a pet 15-30 lbs. Adjust to the needs of your pet. Generally, one meal daily is adequate. Allow pet to eat its fill. Pick up leftovers after 20 minutes. As I research and dig for studies that can prove that long term usage of Ivermectin, or the use of Immititicide for adult Heartworm Infection will not cause long term organ damage, I happened came across this really good link.....that is understandable. What is so interesting about this particular Website link is that they have included studies that talk about the effects on non infected dogs and the side effects were notable. During acute bouts of diarrhea,, stop ALL dry and solid foods. Use broths made from miso or chicken or rice. I recommend rice porridge, called congee. It can be made easily by cooking white rice at 4 parts water to 1 part rice for several hours, until the rice particles fall apart. It is easy to digest. Alternatively, boiled potatoes are soothing and anti-inflammatory for the colon. Avoid raw foods as these tend to be more difficult to digest during a bout of diarrhea. Take a LARGE lemon and slice it paper thin. Put the slices into a bowl with a tablespoon of crushed rosemary leaves (or a 6 inch sprig of fresh rosemary). Pour over the top of this a quart of hot, nearly boiling water. Let this steep overnight, then strain and put into a large spitzer bottle (note; buy a new spray bottle for this, don't resue something that held household cleaning chemicals). 1. What kind of herbs are these and are they safe? These are a combination of Chinese herbs that are targeted to work on the dog's lung system, and they are considered very safe. Just like any food, their always exist the possibility of allergies, and because these are herbs, a natural product, the possibly of an allergic reaction should always be a consideration. 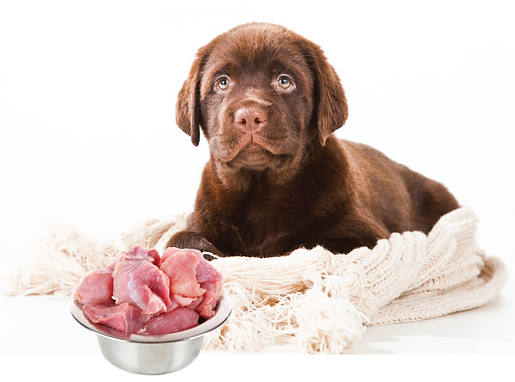 Here is a great link for everyone to take a look at...It debunks so many myths and puts a fresh prospective on what we feed our dogs. * MEATS- Beef, chicken, turkey, fish, venison, rabbit, duck, mutton. Cooked and kept with the grease. They need the fats for energy source. This should be at least half the protein total. We advocate the diet and the products as suggested by Dr. Russel Swift. My source for this article is Natural Health For Dogs & Cats...by Dr. Pitcarin...I don't agree with his use of grains for diets for dogs...but that is about it...the book is a great addition to any dog owners library. I especially appreciate his section on vaccines and how they effect the canine. I with more people would read and become educated. I found this link and I feel it is well written and informative. Me personally...I feed my three dogs only meat every day. someitmes it is boiled chicken...the ENTIRE chicken which includes the gizzards all all of that gooey stuff...and the SKIN and all the bones to boot. The other days...I feel them ground up heart, kidney and liver with bones. I do cook for my dogs...that's what they prefer. They have never been to the vet...and they have never been sick. People I hate to rant...but why don't you all get it? If you cannot or would not put it on yourself, why in the world do you think you can put it on your dog or cat??? And why do you need to read it from a doctor? Why isn't it obvious? PESTICIDES ARE POISON...geeze. But none the less many people feel better if a wise ole doctor will tell you...ITS KILLING YOUR PET.